As I mentioned in the first part of this two part post, there are three basic components that make up the design aspect of most print projects; color, font, and graphics. I briefly talked about color and the importance of choosing the appropriate colors for the project. In this post I would like to briefly talk about the importance of choosing the appropriate font. Fonts can be one of the hardest parts of a design project. With so many options, each with subtle variations, it can be a bit of a daunting task to find just that right font. This blog is simply to discuss some of the general fonts, their standard uses and how to go about choosing just the right font for your project. There are three main components of a font; color, size, and typeface. If any of these three do not work well together with either the other two or the rest of your project, you could be looking at a design disaster. We talked about color in the last blog and the same rules apply to fonts. You want the font color to be complimenting to the main color and to still retain legibility. This leaves typeface and size. Today, I would like to touch on typeface. There are thousands of options available for font selection. While I could write a massive post on the differences and subtle variations between fonts, I will not, but I would like to discuss the four general types of…well, type. 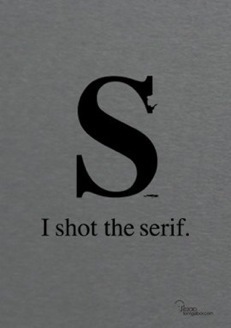 Serif fonts, also called Roman fonts, are straight forward fonts so named for the feature at the ends of their strokes. 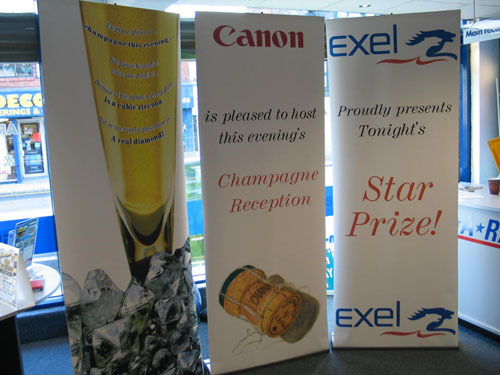 They are typically the fonts you will find in printed materials such as books, newspapers, and magazines. Typical application for a Serif font would be something with a little more traditional style and geared for a more traditional audience. Serif fonts are good for body copy as they are easily legible. Examples of Serif fonts include Times New Roman, Adobe Caslon Pro, Palatino, and Garamond. 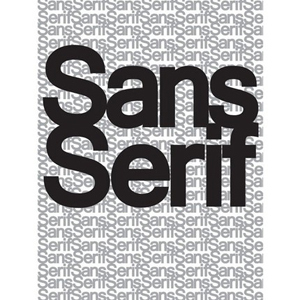 Sans Serif fonts are also straight forward fonts, but without the serifs on the ends of their strokes. These fonts are considered, stylistically, more modern than Serifs. Examples include Arial, Century Gothic, and Verdana. These fonts are also good for body copy due to their legibility. Script fonts are typically only used for decorative purposes. They are difficult to read in large quantity and should be used sparingly. They are most commonly seen on invitations, monograms, and in logos. While these fonts are typically elegant and pretty, due to the aforementioned illegibility, they should not be used as body type. Examples of Script fonts include Edwardian Script and Palace Script. Monospaced fonts are fonts that are fixed-width. So, for example where typically the “w” and “m” are wider than most letters and the “i” is thinner, in Monospaced fonts, the widths are all the same. These were originally designed for typewriters, however they are still used today in computer programming and terminal emulation. These fonts are legible but tend to give more of a typewriter or old computer feel to the text. Examples include Prestige Elite STD, Courier, and OCR A. These are four general types of fonts, but there are more. Others include Ornamental, Mimicry, Blackletter, Gaelic and Symbol, and I’m sure there are some I have missed. 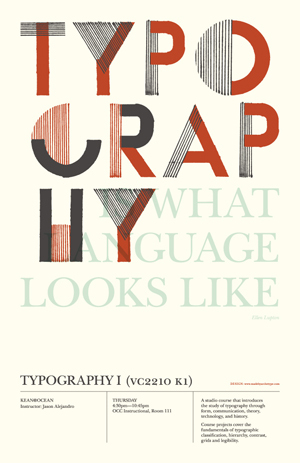 All fonts have a place in the right design; the key is to know your subject and your audience. If it’s hard to read, or doesn’t look or feel right, consider revising it. How to properly care for your vinyl banner.